An influx of new residents has caused tensions in the historically black neighborhood. Cheers echo down the sidewalks of U and Ninth streets on a Saturday afternoon. The rowdiness is coming from inside Nellie’s Sports Bar, which is packed with large groups of chatty men and women huddled around tables drinking beer while intently watching the college football games being shown on large flat-screen TVs. 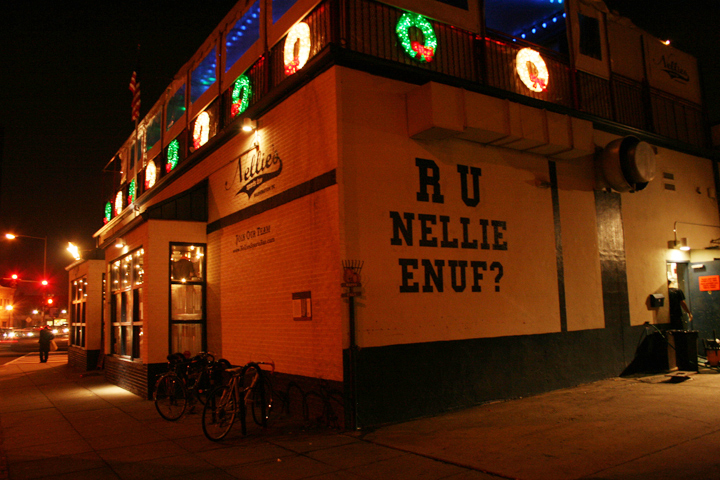 Nellie’s, known as a gay sports bar, draws in people from not just the surrounding neighborhood, but all over the District. 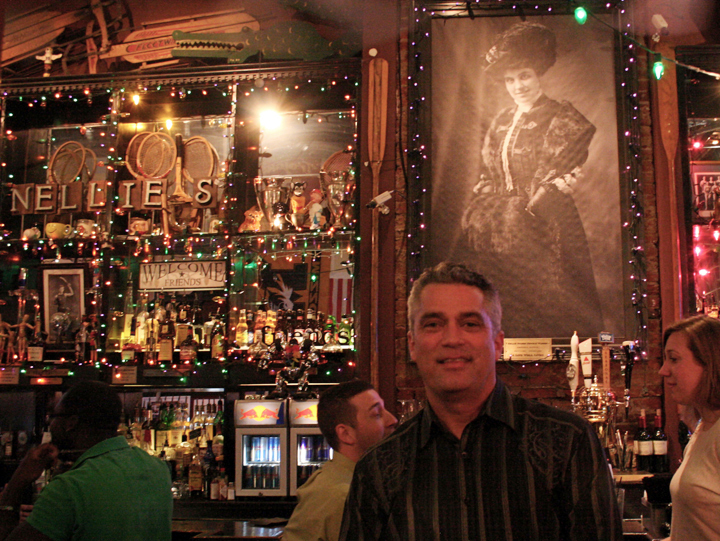 Ryan Portell, a resident of Glover Park, frequently makes the trek to Nellie’s. In fewer than four years, Nellie’s, at 900 U Street NW, has become a mainstay in D.C.’s gay community. One reason is that there has been a migration of gay residents into the Shaw/U Street area. Not only has this prompted a wave of urban renewal in the neighborhood, but it has also caused tensions between new residents — many of whom are gay, young urban professionals — and the working class neighbors who are the longtimers in the neighborhood. These conflicts also tend to divide along racial lines, residents say. The story of urban renewal and gentrification in D.C. has to do with the evolution and integration of white gays moving into black neighborhoods, said Wesley Combs, president and co-founder of Witeck-Combs Communications, a marketing firm that develops strategies for companies to reach out to GLBT (gay, lesbian, bisexual and transgender) consumers. After a Whole Foods supermarket opened at 1440 P St. in December 2000, condominiums were built and remodeled to meet a growing demand for housing, much of which was coming from the gay community. Many new gay establishments opened in the area: Cobalt, a lounge & nightspot, at 1639 R St.; MOVA, a bar and club, at 1435 P St.; and Town Danceboutique, a nightclub, at 2009 8th St. But Nellie’s is the standout, featuring universally appealing weekly events, such as poker night on Mondays, drag bingo on Tuesdays, trivia night on Wednesdays and Ping Pong Madness every fourth Thursday. Galm explains that Nellie’s benefits from being less high-end and more down-to-earth than other gay bars and lounges. Customers say that engaging events, coupled with a rooftop deck and cheap happy hour specials, result in a relaxed, fun atmosphere that can be enjoyed everyone, not just gay clientele. The affect, though, has gone beyond the neighborhood. For some, there are clear positives for the new-look neighborhood. Deborah Alton, who just recently moved to the Phyllis Wheatley YWCA on Rhode Island Avenue, is happy with the current state of the neighborhood. The change, though, has been rapid, and rising rents have forced many long-timers out. While that theme has played out in neighborhoods all over the District, one of the most visceral protests sits in the same neighborhood as Nellie’s, at the corner of R and Seventh streets. It’s what activists call “Tent City,” organized on top of public-owned Parcel 42. The fenced lot is littered with tents and teepees made of wood and black plastic as a protest against former D.C. Mayor Adrian Fenty, who promised to build affordable housing there. However, new voices in the community may not be as interested in affordable housing. Affordable housing is just one of the areas of contention as residents grapple with a central question: whose neighborhood is it? How can you write a story about a collision between “old and new” and cite only perceptions of folks in the “new” group? This article is incredibly misleading – it doesn’t refer to any tensions in the community and doesn’t cite any community leaders. We need more spots like this that cater to the larger DC community. 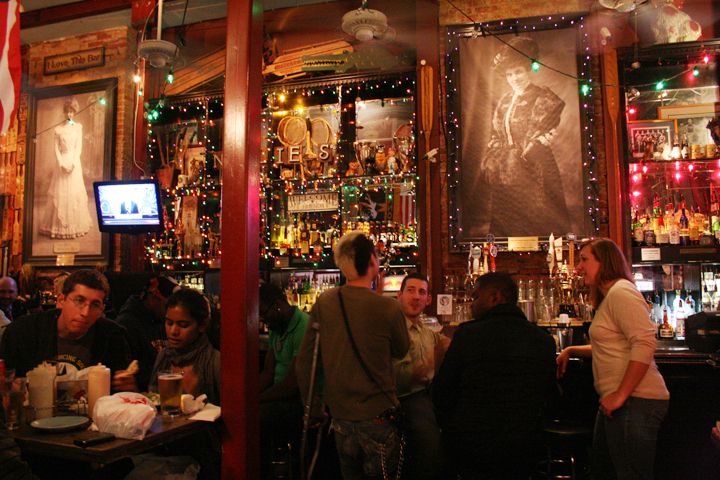 Having the mix of different groups that this area does – White, Black, immigrant, gay – is one of the reasons people are moving into the city (Busboys and Poets is another good example of this welcoming spirit in the area). I really appreciate a University that tries to engage its local community. I know it is difficult to try to do research while a student. This article is very simplistic in its coverage though of U St. You seem to have missed the fact that Ethiopian immigrants as well as others have also moved to this area. It is not simply white and black as this article seems to suggest. A little more history might have helped. I would like to see your magazine follow up on these articles and not just do a “drive by” as most often happens. It is important that our universities engage with their surrounding neighborhoods. Please keep up the good work. That’s it? Some anecdotal statements from a few residents? Where are the hard statistics to back up your assertions about rents? I don’t doubt that assertion but if this is a “journalism project,” shouldn’t you adhere to the basic tenets of journalism? To term this project, “an in-depth look at community tensions throughout Washington, D.C.,” isn’t just a stretch, it’s disingenuous. Call it what it is, a helpful snapshot via a few (too few in my opinion) residents within a few communities combined with the most basic understanding of the communities’ history. Your instructors seem to be letting you down. It’s this lazy type of journalism that’s ruined the press. DC has rent control laws. Higher rents forcing people out is a myth. Landlords can charge the current CPI (Consumer Price Index) plus 2%-but not more than 10% from year to year when increasing rent for current renters. They may only increase rent once per year. For vacant apartment, the maximum increase in rent is 10% from the previous tenant’s rent. New buildings might have higher rents, preventing low income people from moving in — but it doesn’t matter how much nicer your neighborhood gets, your rent can’t increase so much as to force you out.